Perform such other functions as may be provided by law or component authority. To define the role, functions and powers of the various committees and instrumentalities under RA 7160. 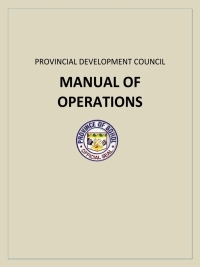 Representatives of non-governmental organizations operating in the province, who shall constitute not less than one-fourth (¼) of the members of the fully organized council. 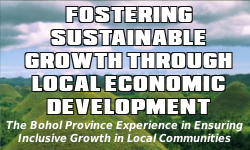 The PDC may call upon any local official concerned or any official of national agencies or offices in the local government unit to assist in the formulation of development plans and public investment programs. The PDC Secretariat shall allocate the committee membership based on the preference of the members. In case of overlap, the Secretariat shall negotiate with the members concerned or in certain cases, they shall resort to drawing by lots. The Sectoral Committee may invite additional members from the government sectors (line agencies) and the private sector. Additional members who are not regular members identified for the Sectoral Committee shall be non-voting members. PPDO technical staff shall be assigned to each sector and shall serve as technical secretariat/coordinator of the sectoral committee. The composition of the Sectoral Committees shall be confirmed by the Full Council.